The beauty of Lupines are not just in their flowers. 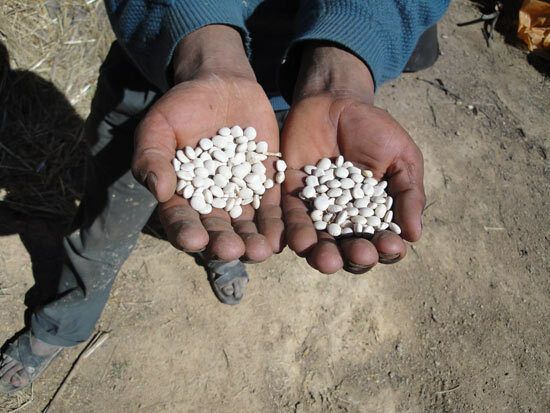 Edible Lupine seeds being developed in South America. Lupines are beautiful wildflowers found almost around the globe. 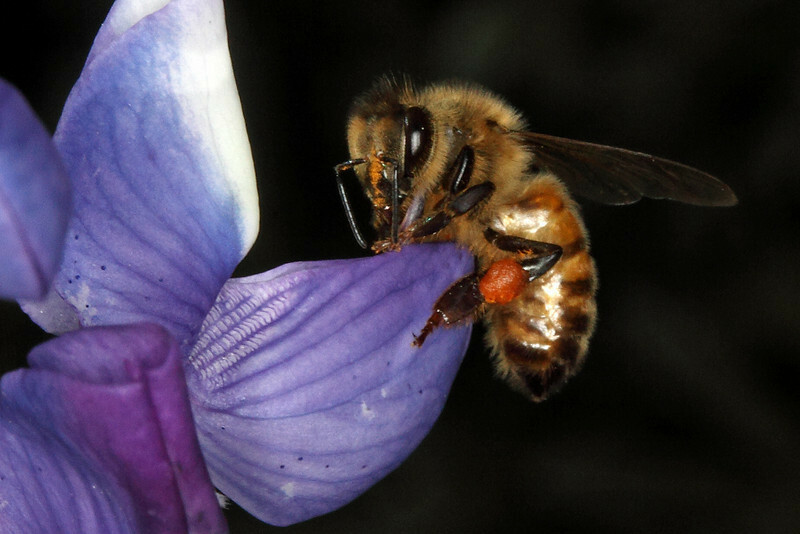 Known primarily for their showy spikes of flowers in blues, purples, reds, yellows, and white, these legumes put nitrogen back into the soil (natural fertilizer), host a number of beneficial insects, can act as a groundcover to protect top soil, and some species even produce edible seeds. A brilliant addition to the home and Forest Garden. Found almost all over the world, there are likely native or at least naturalized Lupines close to where you live. They have been used as food plants likely for thousands of years. The Romans were fond of the seeds, but have been used by most Mediterranean cultures. The South and North American species were also used by natives there as well. 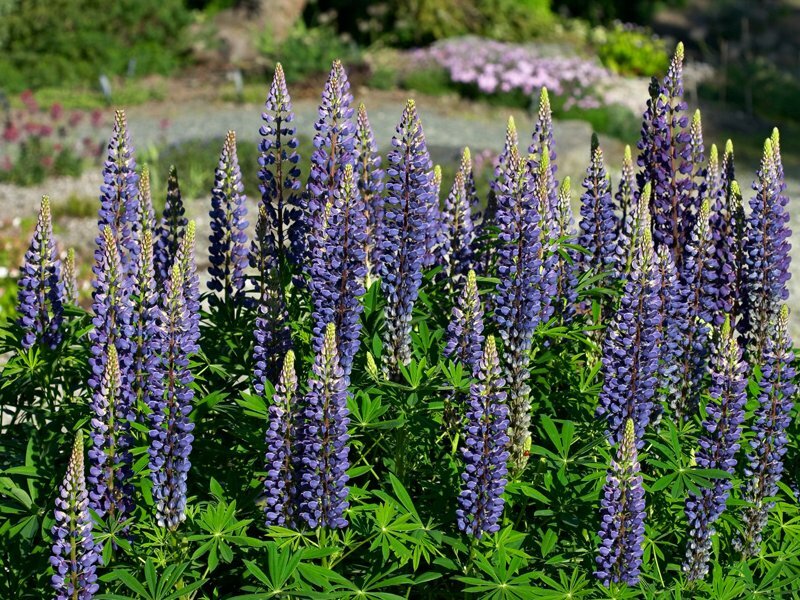 More recently, there has been a growing trend to use Lupines as a cash crop alternative to soy, livestock forage and feed crop, as well as developing a wide variety of ornamental flowering varieties. Edible species include Wild or Sundial Lupine (Lupinus perrenis), Seashore Lupine (Lupinus littoralis), Blue Lupine (Lupinus nootkatensis), another Blue Lupine (Lupinus augustifolius), and White Lupine (Lupinus albus), but the best is likely the Pearl Lupine (Lupinus mutabilis). 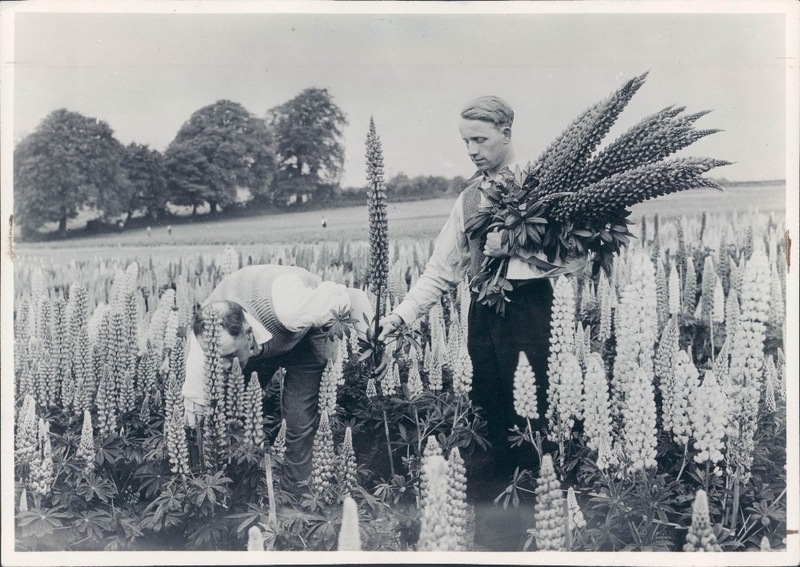 There are larger species in the Lupine genus… the most common large species being the Tree Lupine or Yellow Bush Lupine (Lupinus arboreus) that grows to over 6 feet (2 meters) tall. Lupines are an important larval food for many butterflies and moths. 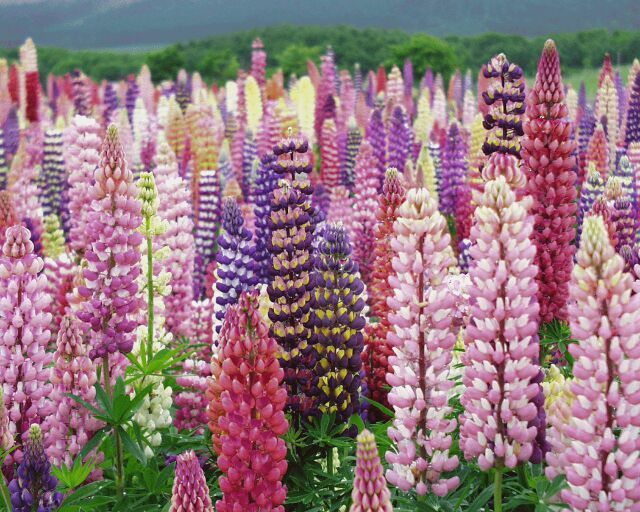 Lupines come in a wide variety of colors. Edible seeds in some species – used as cooked bean substitute, can be roasted then ground into a powder (NOTE: seeds contain a bitter toxin that can easily be leached out by soaking the seeds in water overnight, and up to 3 days) and discarding the soaking water. Nitrogen fixing plant (puts nitrogen back into the soil) – inoculated with leguminous bacteria. Many beneficial insects are attracted to Lupines. Life Span: No reliable information available, but if conditions are fair to good, Lupines will self-reseed. 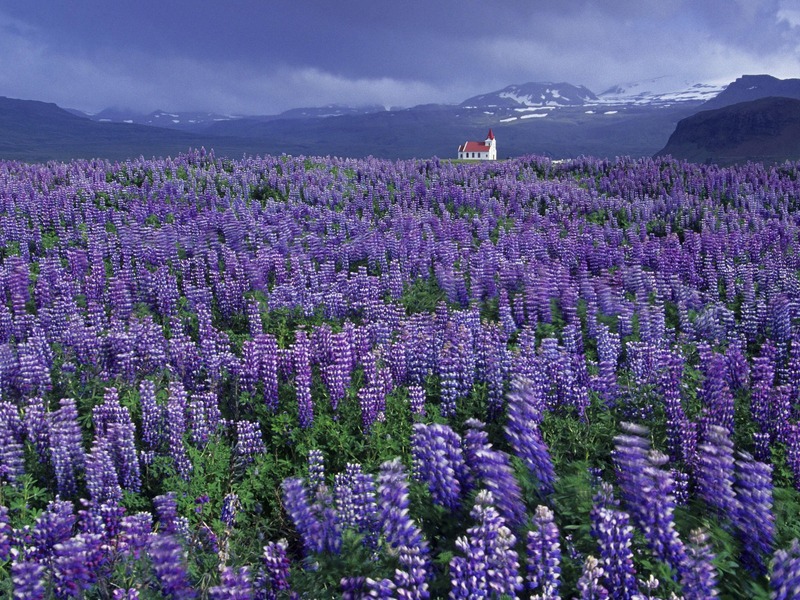 Amazing photo of a field of wild Lupines near a church. 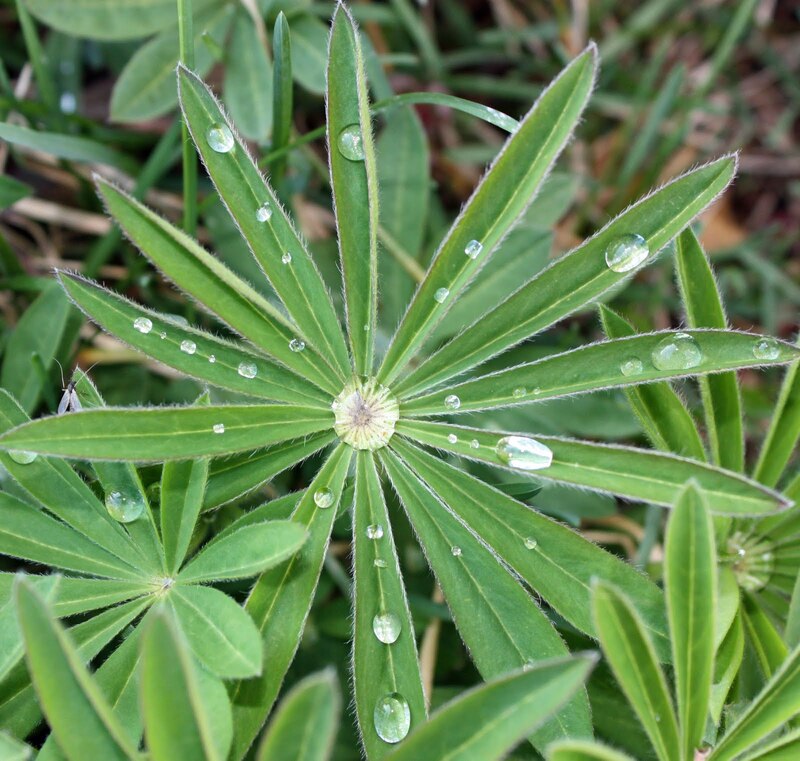 Close-up of Lupine leaves – natural water catchers! Propagation: By seed (needs scarification) or by Spring cuttings of soft, basal growth. Division is reported to be difficult. 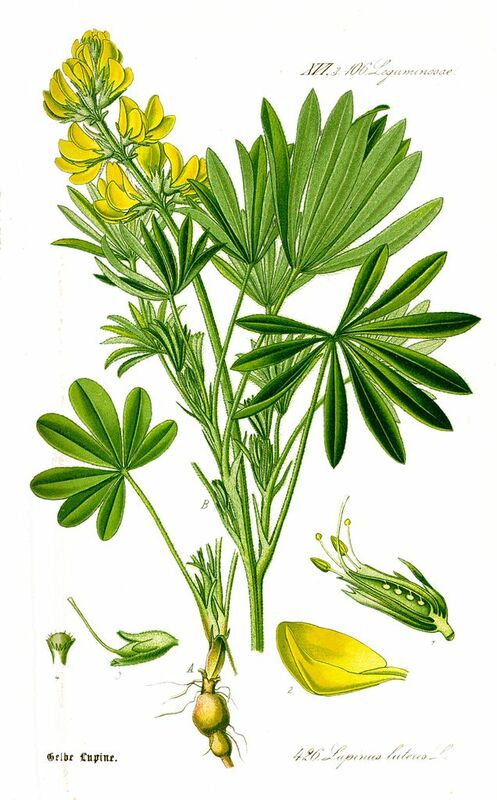 Concerns: Poisonous – There are many varieties of lupines that have toxic seeds, and the seeds can become contaminated with a fungus that produces toxins as well. If you are going to eat the seeds, really know what you are doing.